The global smart watches market is expected to show a remarkable growth rate by coming years. One of the major factors contributing the growth of the global smart watches market is the entrance of big vendors in the market. The market has also witnessing an increase in R&D spending. The global leading players such as Sony, Samsung, Pebble, and Maritime have increased their R&D investments for smart watches. For that, they are entering into partnerships with value-added resellers and suppliers and investing in R&D activities. These increasing R&D investments are helping players to introduce new products with better integration ability and accuracy. This will help with the reduction in smart watch prices and lead to an increase in their adoption among consumers. Although the various driving factors, the global smart watches market is retraining due to the lack of proper technology standards. In addition, this is a new and emerging technology and thus technology standards are not clearly defined. The wearable computing device has failed because of the bulkiness, ugly look, battery issues and weak functionality. However, after the launch of number of new smart watches, consumer perceptions have changed. Nowadays, smart watches have become an important accessory to smartphones and an independent communication device. In future, smart watches will have a screen which potentially run software and allows to serve a robust extension to smartphone operating systems and apps. The global smart watches market is segmented into two major categories, on the basis of application into general consumers, sports and healthcare and others. The market is also segmented on the basis of product characteristics into companion devices and standalone smart watches. The market is driven by factors such as the rapidly growing consumer electronics goods industry and its distinctive features. The rapid technological advancements and changing consumer preferences will also act as drivers for the global smart watches market. Other factors fuelling the growth of the global smart watch market are the growing adoption of wireless technologies and softwares. Also the continuous adoption of mobile processor technologies is driving the demand for this market. Some of the factors inhibiting the growth of the global smart watches market are the lack of standardization in this technology. The growing penetration of electronic devices will serve as an opportunity, fuelling the growth of the global smart watches market. 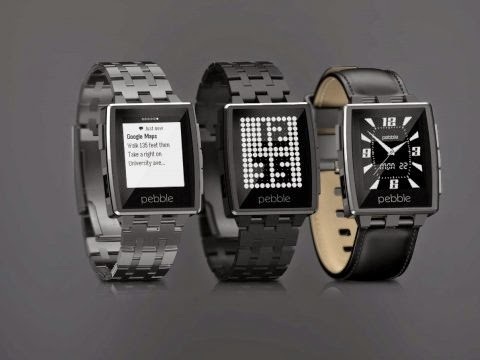 Some of the key players in this market are ConnecteDevice Ltd., Google Inc., Martian Watches, Metawatch Ltd., Qualcomm Inc., Samsung Electronics Co. Ltd., Sony Corp., Apple Inc., Pebble Technology among others. Earlier the global smart watches market was dominated by players with relatively low brand image in the electronic device industry. However, after the entrance of new big vendors in the consumer electronic device industry, the demand and curiosity for smart watches have increased among the end consumers.